Today HPS is launching a new product, the policy “cheat deck.” Think of it as a cheat sheet in the form of a short PowerPoint deck. We are kicking off this product with a primer on the economics of college debt and policy proposals that address it, including the new White House proposal today. 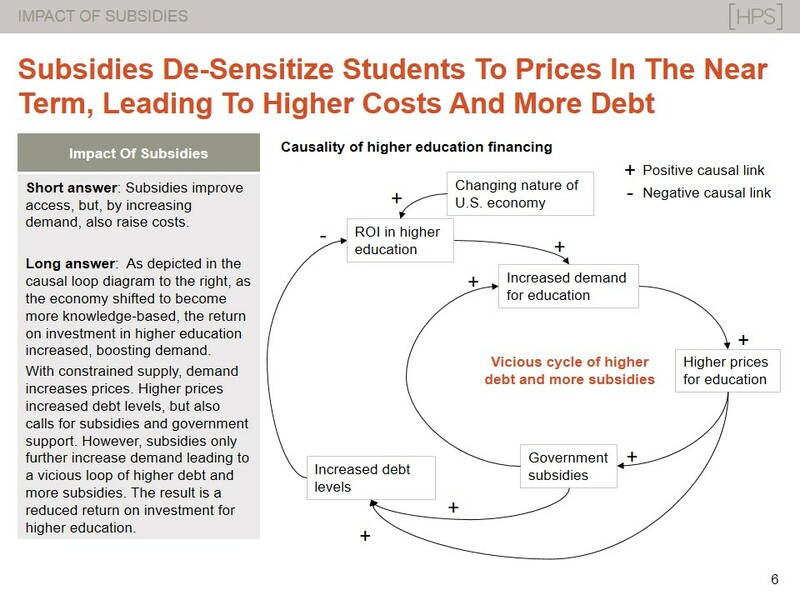 The goal here is to give people a five-minute primer on the economics of financing higher education. The most important takeaway: Government subsidies for student debt contribute to the cost and debt problems. Other approaches and disruptions are emerging to improve college affordability and some of the White House proposals are helpful, but current policy is a prime example of Washington’s special relationship with the law of unintended consequences.